Bagno Patrizia is an elegant and welcoming beach club in Versilia, Lido di Camaiore where, in 1962, just as the tourism sector was developing in this area, Francesco and Anna Pardini with their little daughter Patrizia began working on their beach. 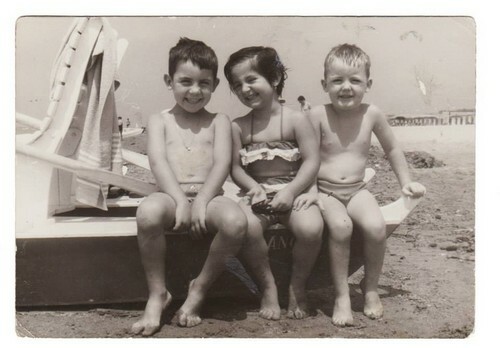 To this day Patrizia with her family still runs this beach. The restaurant, made entirely of wood, is open every day for lunch from 12:30 to 15:30 and for dinner from 20:00 to 23:30. The menu includes local specialties prepared by our chef Roberto. Our air-conditioned apartments offer a high level of comfort to help you relax during your well deserved holidays. They consist of a fully equipped and furnished living room/kitchen, a double bedroom with king size bed, a triple bedroom and bathroom with shower. Each apartment is equipped with all necessary appliances from iron to dishwasher. A washing machine is available for the guests of the apartments. Each apartment has its own private veranda with table and chairs for dining. Car parking and a gazebo on the beach is included in the rental. Don’t hesitate to contact us for further information and booking.